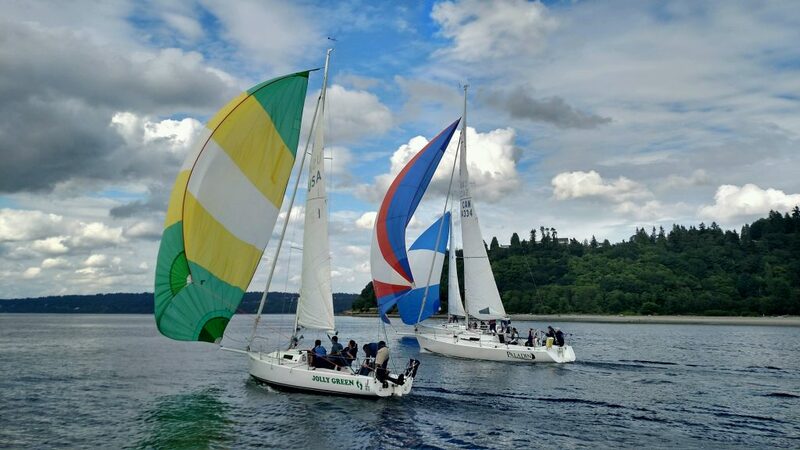 If you’re thinking of a group event, Seattle Sailing Club offers the highest quality and a wide variety of team building and recreational events for groups of any type – corporate, community, or personal. Our variety of sailing yachts, experienced professional staff, and a convenient Seattle location make our group programming efficient, easy, and fun! Whether you work with several people or several dozens, sharing experience outside of the office is a good thing. Team building events at Seattle Sailing club occur in a safe and supportive environment while expanding comfort zones, promoting synergy, and bringing people together. The benefits in the workplace are innumerable. And it’s FUN, of course! Groups will divide into crews of 4-6 people, participate in a brief learn-to-sail chalk talk in our classroom, and then get out on the water. Teams will spend the first portion of the event practicing, and the remainder participating in a series of short sailboat races. Take your group to any number of local day sailing destinations, the sailing journey is always the best part, but the possibilities when you get there are endless: wine-tasting on Bainbridge Island; a picnic at Blake Island State Park; a nice meal on the water at a local port. You and your team of up to six and two professional instructors will sail 30 hours non-stop, making big miles around the Sound and the islands, enjoying the exhilaration of life under sail. You will work together to meet the needs and challenges presented by the experience, sailing night and day in “watches” so that your other team members can rest and recuperate. This is an experience that will bring your team together as colleagues and friends, and provide each of you with fond memories of a grand adventure! 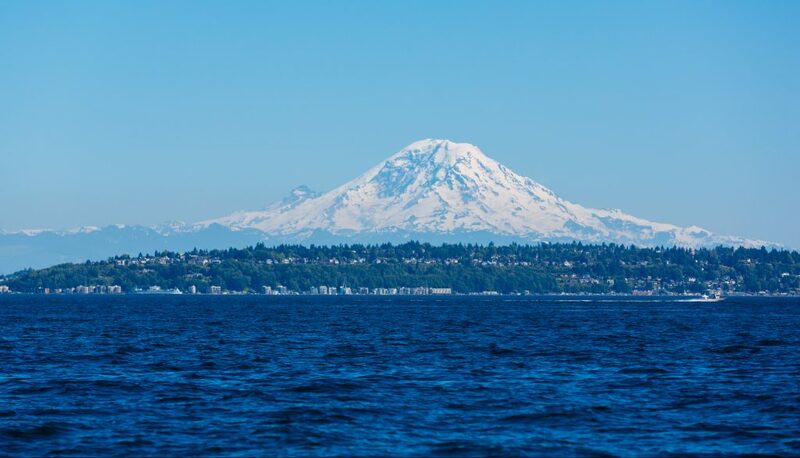 Spectacular views of the Olympic and Cascade mountain ranges, the extraordinary Seattle skyline, and abundant sea life make spending time on the Puget Sound a special experience for locals and out-of-town guests alike. Eagle Harbor is located on the east shore of Bainbridge Island. The Washington State Ferry from Seattle to Bainbridge comes in and out every couple hours. Take a short walk through the park and head towards the little town for local shops, wineries, and restaurants. Waterfront Park has picnic tables and a stage for bands to play during the Summer months. Eagle Harbor has enough activities for a full day of fun.